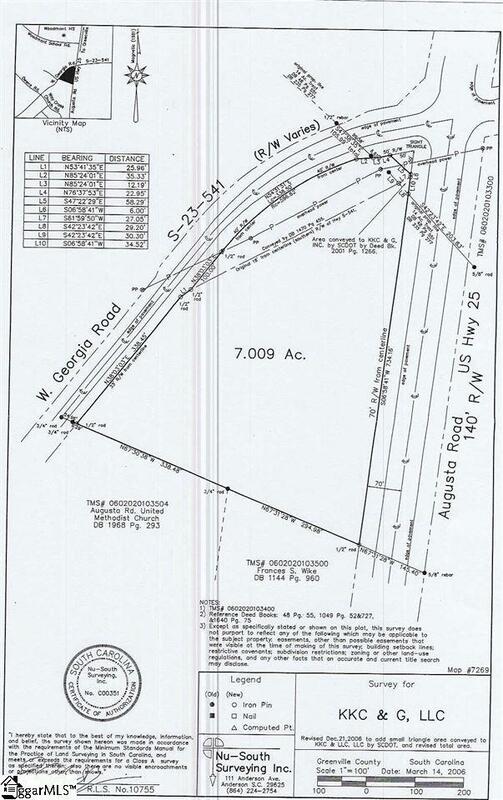 This 1.75 acres is the hard corner and part of Tax map # 0602020103400. 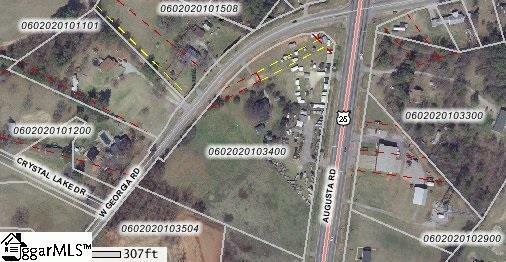 It is the SW corner at the signalized intersection of West Georgia Rd and US HWY 25. It lays perfectly level, has great visibility and several hundred feet of road frontage on HWY 25 and West Georgia Rd. There is a great site plan in associated documents for development of the property. SCDOT has given preliminary approval for driveways, subject to their final approval. This would make an ideal convenience store location. It is less than a mile form the new 7 - 11 and the Food Lion Shopping center. This is an area that is really starting to explode. More adjacent property is available.